Fill grease cups (cup grease is preferable to axle grease). Clean out the oil holes in brackets and be sure that the oil holes in brackets and bushings are in line; then screw cups in place. 1. Place wheels on axle. 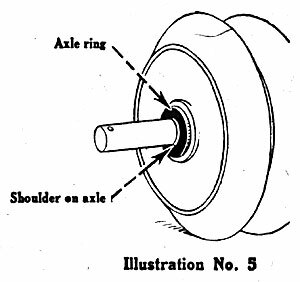 If wheels do not fill axle completely to the turned shoulder, fill up the space with axle rings. (See illus. No. 5). For the No. 30 machine, place center bracket on axle first, then put an equal number of wheels on each end. 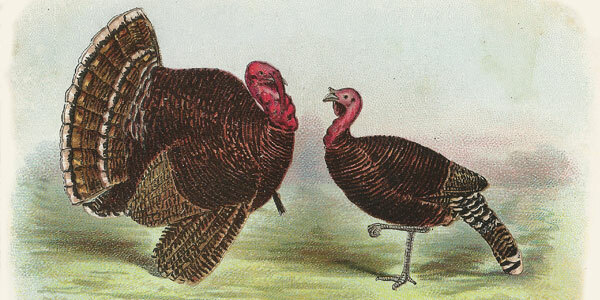 (See illus. No. 7). 2. See that axle and end bearings are well greased; then place brackets on axle and secure with axle washers and cotters, using that notch in the washer which allows the least possible end-play of wheels on axle. (See “A” in illustration No. 2). Bend ends of cotters around washers so they will not catch on the inside of dust caps. 3. Replace dust caps and tighten nuts securely. (See “B” in illustration No. 2). 4. Bolt main frame angles to end brackets. 5. Place tongue rests on angles with closed side up. 6. 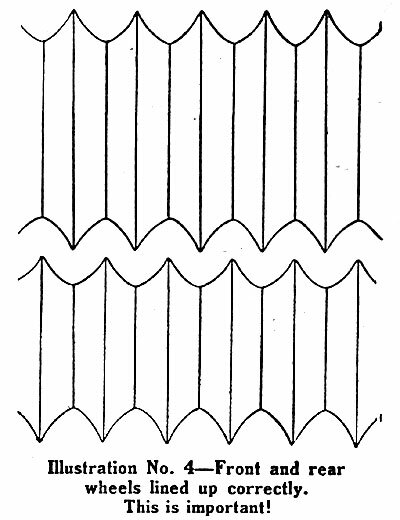 Secure tongue angles to main frame. On No. 30 machine these bolts also take center bracket. (See illustration No. 7). 7. Bolt seat spring to tongue angle. 8. Bolt tongue braces to tongue and to frame angles. 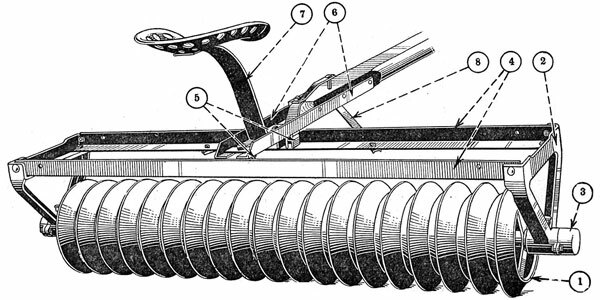 The connection of braces to tongue and main frame varies with the size of the machine. (See illustrations No. 7, No. 17 and No. 20). Place the 15″ wheels (104-O) on the short axle, placing one of the quick detachable wheels (104QD) at each end with the bolt heads outside. (See illustration No. 2 also). Place the 12″ wheels (105-O) on the long axle, placing one of the quick detachable wheels (105QD) at each end with the bolt heads outside. 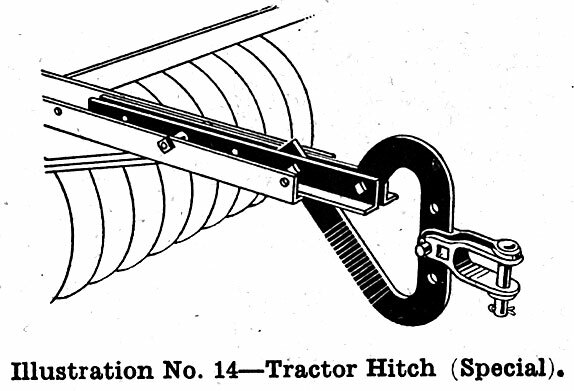 (See illustration No. 2 also). If the wheels do not fill the axle completely to the turned shoulder, fill up the space with axle rings. (See illustration No. 5 also). Place short axle in front. 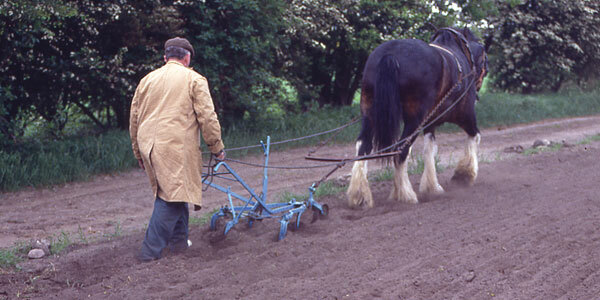 Line up the wheels so that rear wheels will exactly split the ridges built up in the soil by the front wheels. (See illustration No. 4). This is important, as half of the benefits of the Culti-Packer to the soil depend upon it. See that the axle and end bearings are well greased; then place brackets on axles. Secure with axle washers and cotters, using that notch in the washer that allows the least possible end-play of wheels on axles. (See “A” in illustration No. 2). Bend ends of cotters around washers so they will not catch on the inside of dust caps. Replace dust caps and tighten nuts securely. (See “B” in illustration No. 2). Bolt main frame angles to end brackets. Place tongue rests on angles with closed side up. Secure stub tongue angles to main frame. (On No. 58 and No. 60 machines, these bolts also take center bracket – also see illustration No. 20). Bolt seat spring to tongue angles. Bolt tongue braces to tongue and to frame angles. 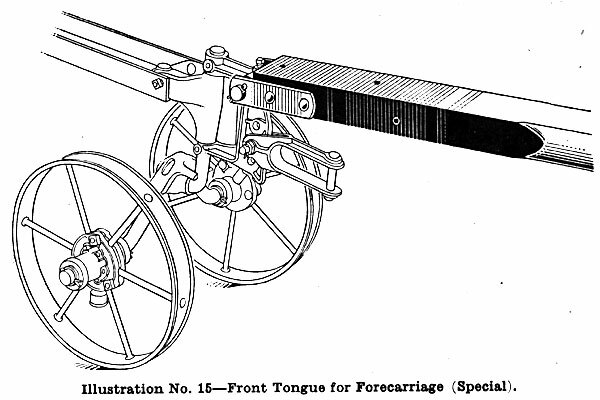 The connection of braces to tongue and frame angles varies with the size of the machine. 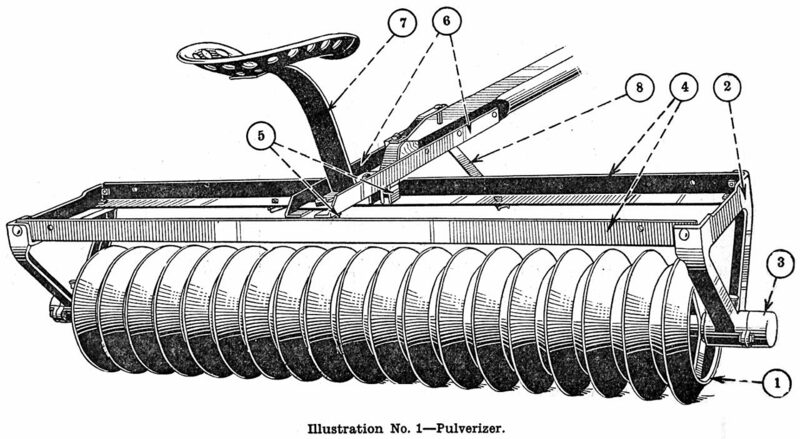 (See illustration No. 20). 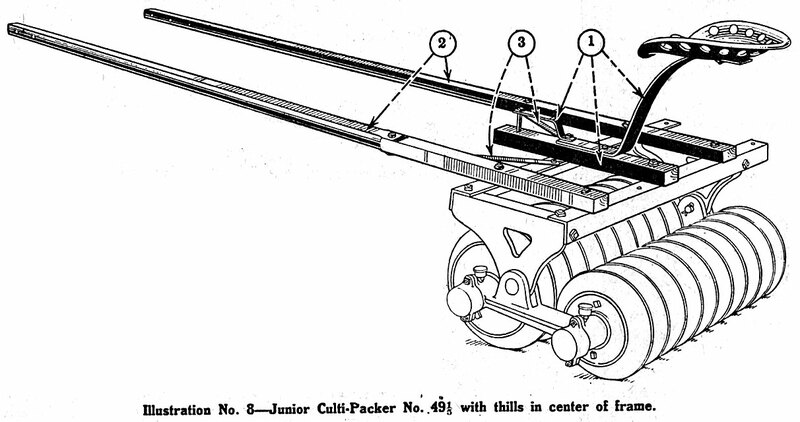 Place center bracket on axles as shown in illustration No. 6. Be sure that the bearing washers (AP-8) are in place in axle bracket. 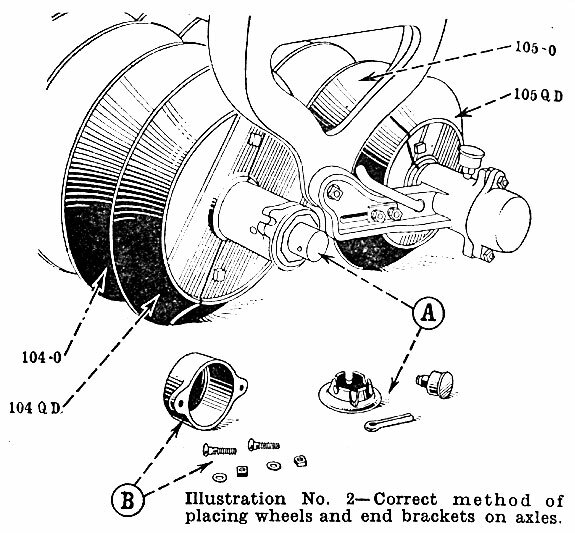 On front axle, place 104-O and 104QD wheels as instructed in paragraph 1. 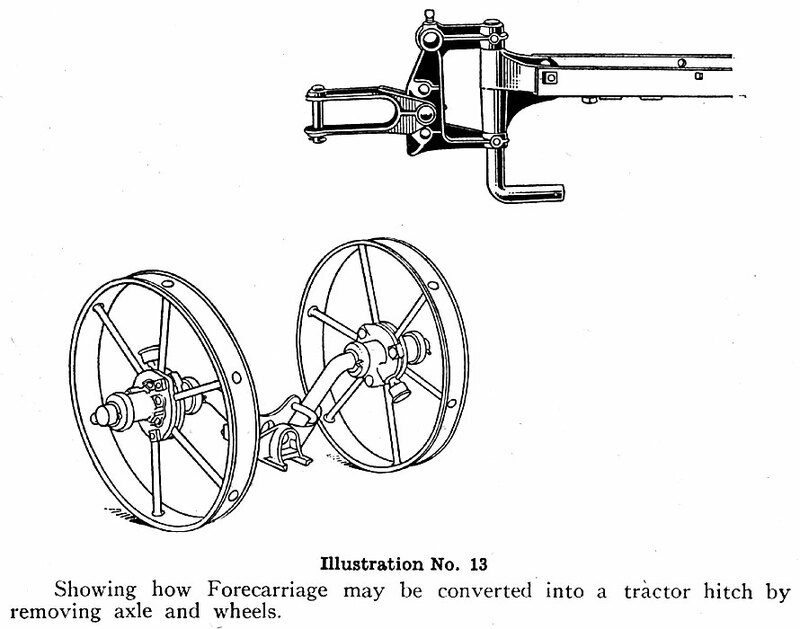 On rear axle, place one wheel (106-C) on each side of center bracket with open end of wheel over bearing as shown in illustration No. 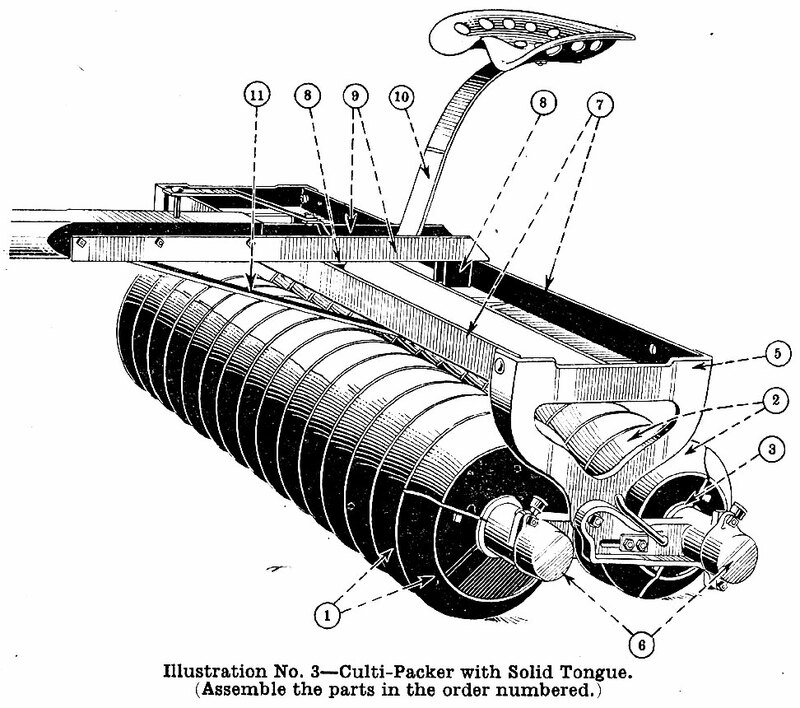 6; then place the remaining 105-O and 105QD wheels as instructed in paragraph 2. Fill the grease cup and force the grease in until the entire bearing is well oiled. 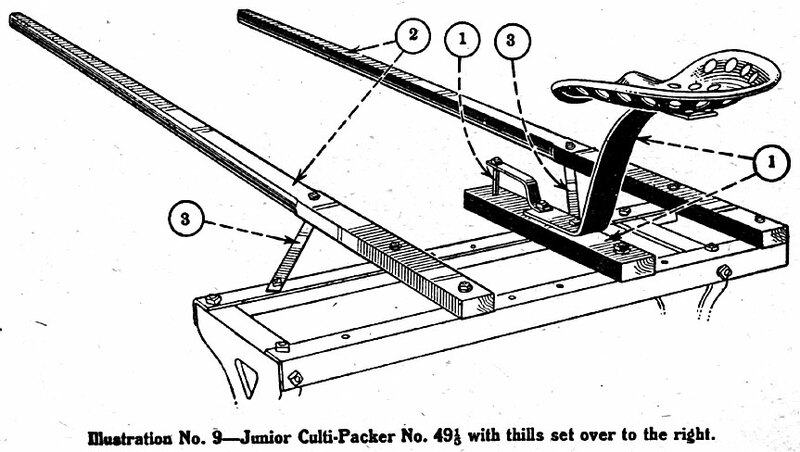 Bolt stub tongue, hammer strap and seat spring to frame angles. Bolt thills to frame angles. Bolt braces to thills and to frame angles. Bolt front connection (PA1610) to front end of angles. Bolt extension bar and block to rear angle. Bolt brace to extension bar and to frame. Bolt braces to drawbar and to angles. Secure drawbar to extension bar with pin and cotter. After the machine has been set up, go over it carefully to see that all bolts are thoroughly tightened. Keep the bolts well tightened at all times. 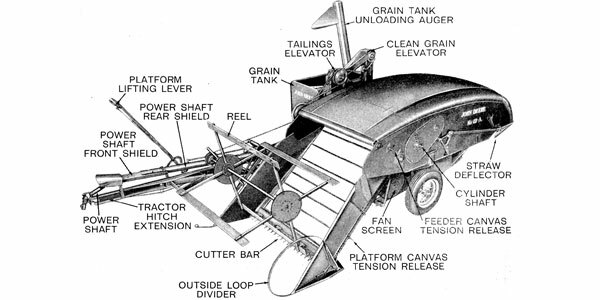 Use it after the grain is out of the ground. 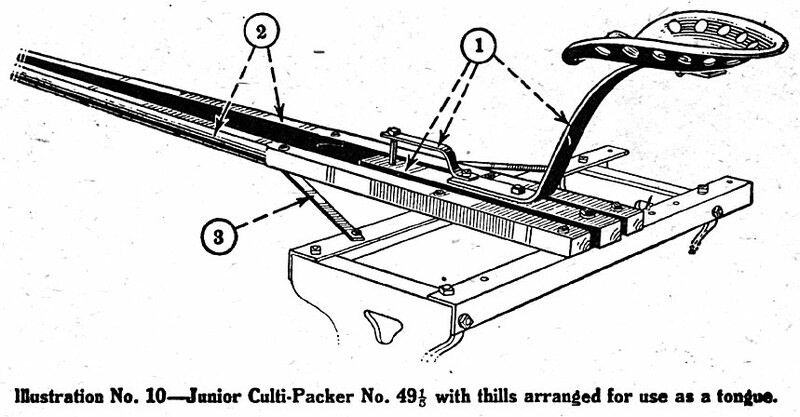 Caution: Do not use the Culti-Packer or Pulverizer when the ground is wet or when the soil will stick to the wheels and fill up the depressions. All axle bearings are made of hard maple, soaked in linseed oil. The bearings are provided with hard grease cups and should be thoroughly greased frequently. They should be removed occasionally and cleaned with kerosene or gasoline and fresh grease should then be applied. The bearings are reversible end for end or may be given a quarter turn, thus lengthening the life of the bearing. In replacing bearings, see that felt dust washer and steel washer are in place and that oil hole in bearing lines up with hole in bracket. The felt washer holds grease in and keeps dust out of bearing. The axle brackets are slotted so that the frame may be shifted into various positions. When shipped out the brackets are assembled in the correct position for general work; that is, at the rear end of slot. 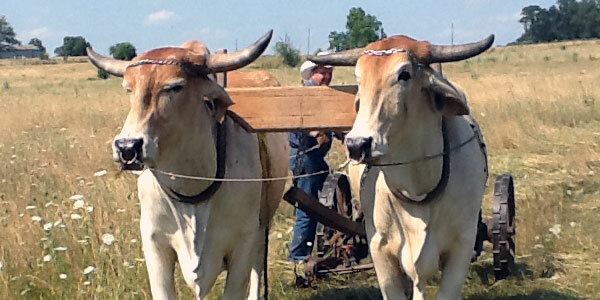 If, however, the ground is extremely hard or cloddy and more pressure is desired on the front gang, adjust the brackets by bringing the centers closer together. 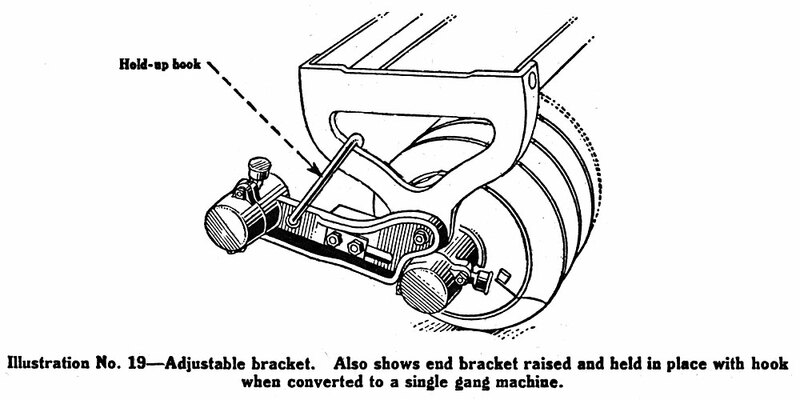 If the soil balls up in front of the front gang adjust the brackets rearwardly so that the pressure of the frame is more evenly divided between the gangs. In case it is desired to add more axle washers to keep the wheels in proper alignment or to remove wheels for straddling rows, take off dust caps and remove cotters in the axles. Then remove bolt which holds top frame bracket to axle bracket. Use the axle rings on the axles outside of the end wheel when the wheels do not exactly fill the axle to the turned shoulder. (See illustration No. 5). 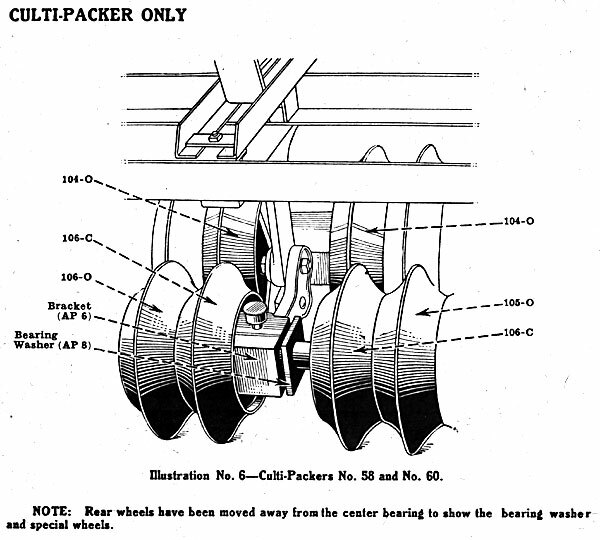 On the Culti-Packer, use the axle rings to get the wheels in the proper alignment so that the rear wheels will exactly split the ridges left in the soil by the front wheels. (See illustration No. 4). Keep the wheels reasonably tight at all times, but not so tight that they will bind on the end brackets. 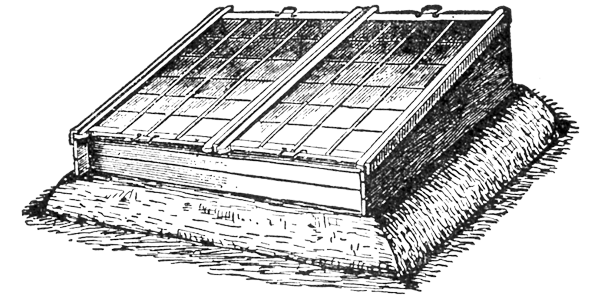 Extra holes in the frame angles may be used for attaching a box or plank for holding sacks of sand or stones to give additional weight to the machine when conditions require it. Use judgment when adding extra weight. The frames will carry an additional 35 to 45 per cent of the actual weight of the machine; this should be evenly distributed over the entire frame.